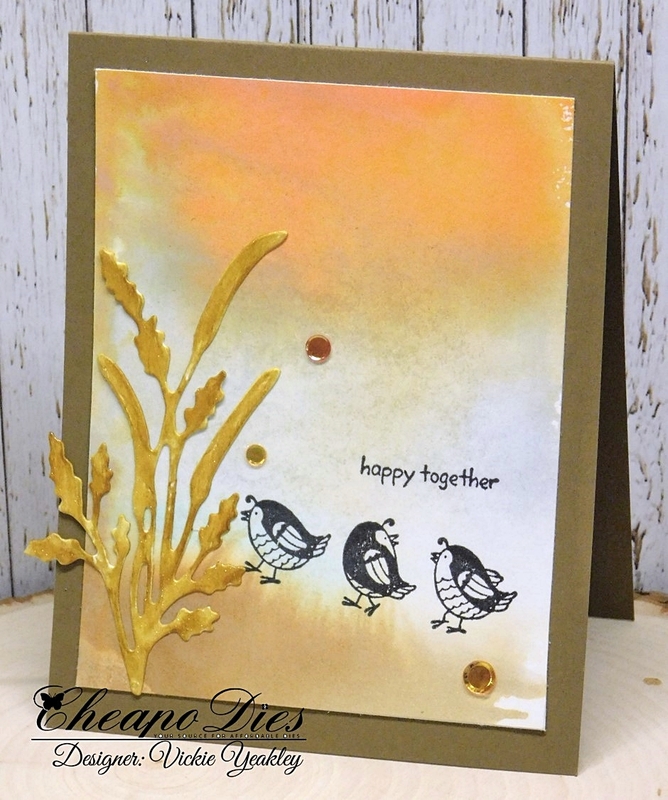 Vickie Y sharing a card with you today using the Wild Grass Exclusive Cheapo Die. The little partridges are enjoying a stroll through the "wild grass!" 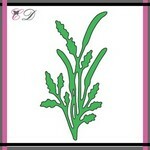 I die cut the Wild Grass using watercolor paper and watercolored the image using watercolor pens and an aqua brush. The card background was created using a large clear stamp block by smooshing distress oxide inks on it, spritzing with water and stamping it onto the watercolor panel before stamping the images.